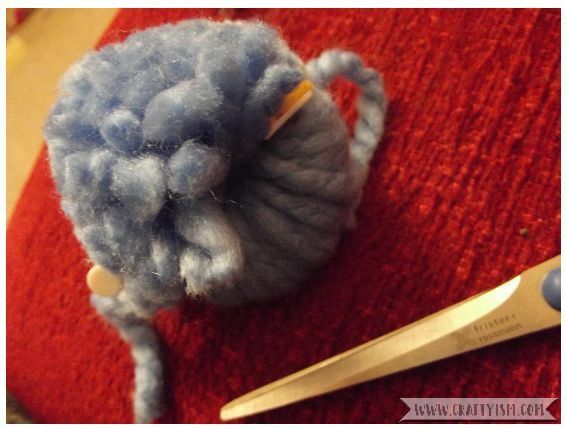 Every Tuesday evening I head over to Twitter to join the @CraftBlogClub weekly twitter chat. Craft Blog Club is a place for anyone who is crafty, not just those who run a craft blog or have a craft business. Using the hashtag #CraftBlogClub the hosts introduce a range of discussion topics that we all jump in on. These chats can be based on anything, from our latest craft blog posts, current crafty projects or how to wrap awkward presents! I only started taking part in these twitter chats over the summer so this was my first time taking part in the annual #CraftBlogClub Secret Santa. After contacting the hosts of Craft Blog Club, I was matched with a fellow crafty person who I had to send a secret handmade Christmas present to. 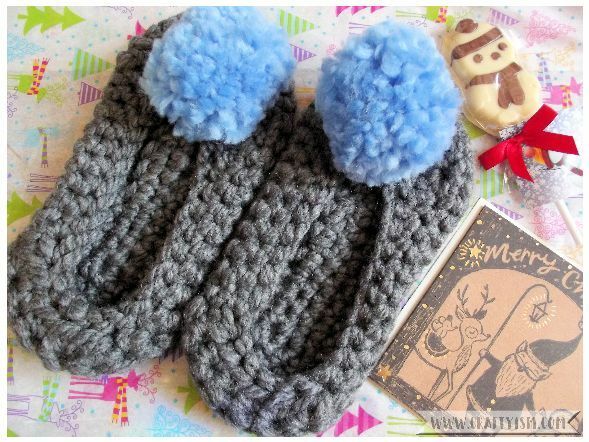 Now that Christmas is over, I can tell you that I was matched with Shelley of ShelleyMakes. After some research, I decided a nice present would be these Cosy Pom Slippers by Thread the Love. Next I got some Hayfield Bonus Super Chunky yarn from Hobbcraft and set to work! The slippers were surprisingly easy to make and worked up quite quickly. 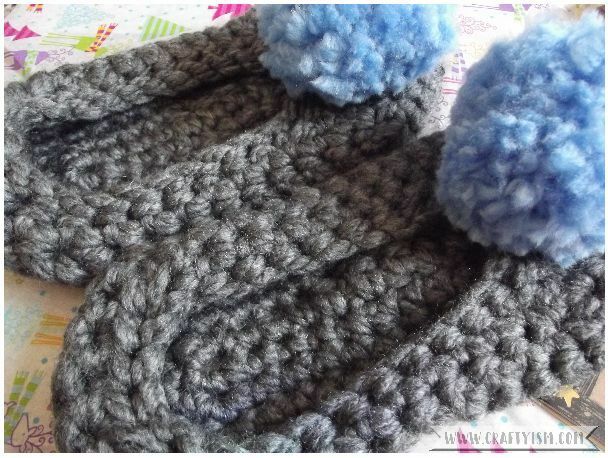 The joy of super chunky yarn! My favourite part was making the pom-poms for the toes using a pom-pom maker. I had never used one before and they are brilliant! I went for a grey and blue colour scheme as I thought it was a bit wintery, but not so much that they couldn’t be worn all year round. I’m so pleased with the finished slippers, I even made some for my Mum for Christmas! I added a little chocolate snowman and a card to the package. In the card I explained that it was the #CraftBlogClub Secret Santa present and an introduction to me. This was so that Shelley would not think she had been sent a random present from a complete stranger! Taking part in the #CraftBlogClub Secret Santa was so much fun. I hope Shelley enjoys wearing the slippers as much I enjoyed planning and making them! If you like being crafty or have a crafty blog, why not take part in the @CraftBlogClub twitter chats? You can have a look at their Facebook page, or head over to Twitter on a Tuesday after 7pm GMT and search for #CraftBlogClub. Hopefully we’ll chat soon!